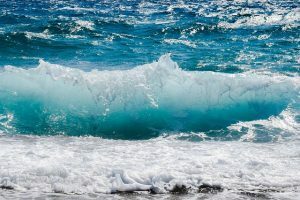 Last March the European Marine Energy Center (EMEC) issued a solicitation seeking a simulated microgrid solution to help test small scale wave and tidal energy converters in Scotland’s Orkney Islands. Now Swedish marine energy developer CorPower Ocean has successfully installed its new half-scale C3 wave energy converter at the EMEC Scapa Flow scale test site. The C3 is connected to EMEC’s recently completed floating microgrid. The microgrid was designed to allow the C3 device to behave as if it were grid connected. 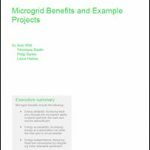 By providing a stable voltage and frequency reference, the microgrid will simulate the drag of a typical grid connection, absorbing power from the device and providing power to auxiliary systems. With the C3’s performance already proven in grid-connected configuration during a dry testing campaign in Stockholm, this ocean deployment is looking to prove off-grid operations to address market segments such as islands, offshore installations or remote coastal locations around the world. The latest Stage 3 demonstration is funded by WES, the Swedish Energy Agency and InnoEnergy, with the testing at EMEC also supported by Interreg NWE FORESEA project. How do you determine community resiliency? The International Code Council and the Alliance for National & Community Resilience (ANCR) are beginning the development of the nation’s first whole-community resilience benchmarks this month. The ANCR technical committee will first focus on creating benchmarks for buildings, water and energy, core functional areas for all communities. The benchmark system will provide communities a transparent, practical and commonsense self-assessment to quickly and easily gauge their cross-sector resilience efforts, according to the council. The model code organization also noted that the standards will help communities face the challenges of the 21st century, and is particularly timely given the recent devastating storms and fires in California, Florida, Texas and elsewhere. ANCR also announced that it still needs subject matter experts with experience in the resilience arena to fill several volunteer openings on the committee. Those interested can submit their resumes or curriculum vitae to ResilientAlliance@gmail.com by February 1. California-based JLM Energy announced a $150,000 purchase order for Ideal Power’s electric power conversion products. The purchase follows a master purchase agreement between the two companies in October 2016. The partnership assists JLM in offering its customers stand-alone commercial energy storage and microgrid projects, including design, manufacturing, installation and system monitoring. JLM’s newest order includes 25, 30kW dual-port Stabiliti series power conversion systems, according to the companies. The Ideal systems will primarily provide behind-the-meter peak shaving solutions to California manufacturing and industrial companies. The units are scheduled for delivery in March 2018. The Ideal Power conversion system is a multiport power converter supporting bi-directional power flows between its power ports. 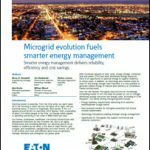 The system is designed for grid-integrated solar-plus-storage, storage-only systems for demand management, AC and DC microgrids, critical load support, backup power and electric vehicle charging stations.